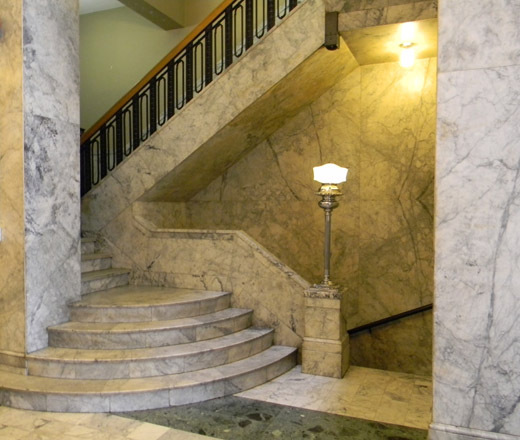 Architect: H.L. 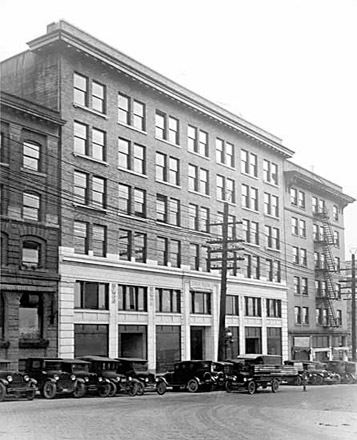 Stephens & Co. Ltd. 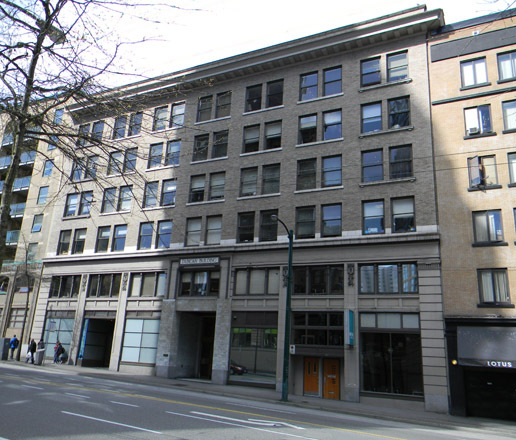 The Duncan Building is a six-storey masonry building located mid-block on West Pender Street in downtown Vancouver. 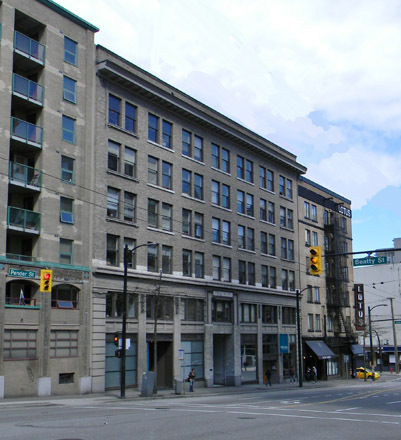 The Duncan Building, named for original owner, barrister and solicitor, Howard J. Duncan, was completed in 1912, at the height of the early twentieth-century building boom. 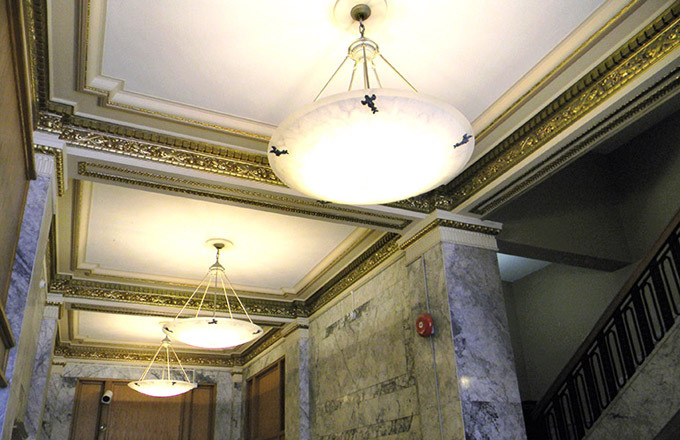 Architects and engineers H.L. 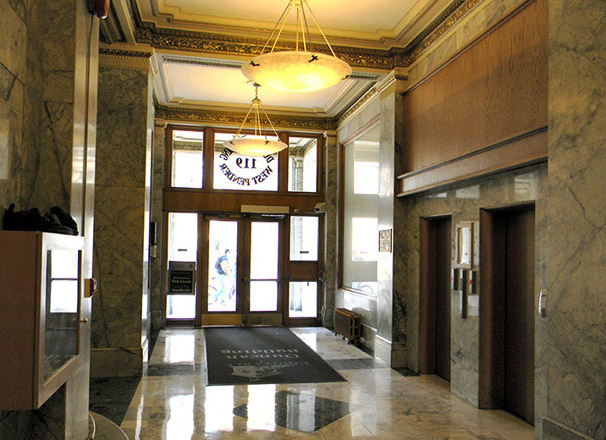 Stevens & Co. designed the building in the modest Edwardian-era style that was popular at the time. 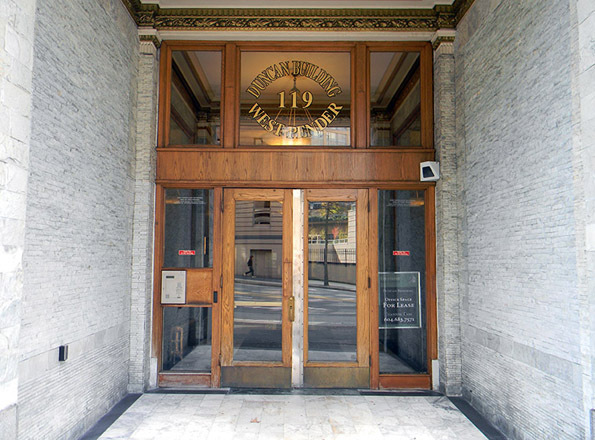 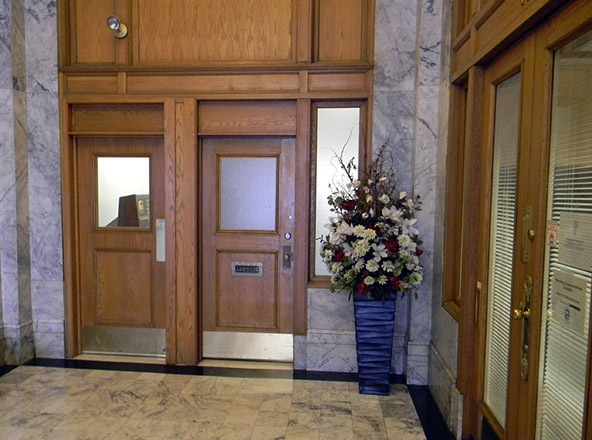 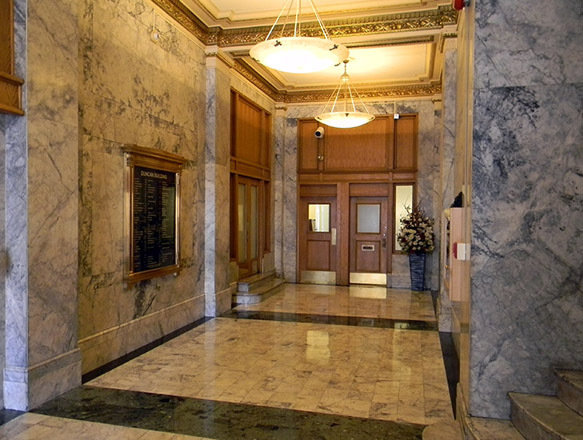 The interior of the building, specifically the lobby, is characterized by marble panels, detailed lighting fixtures, and an ornate plaster ceiling; the interior of the Duncan Building was distinctly different from its exterior facade. 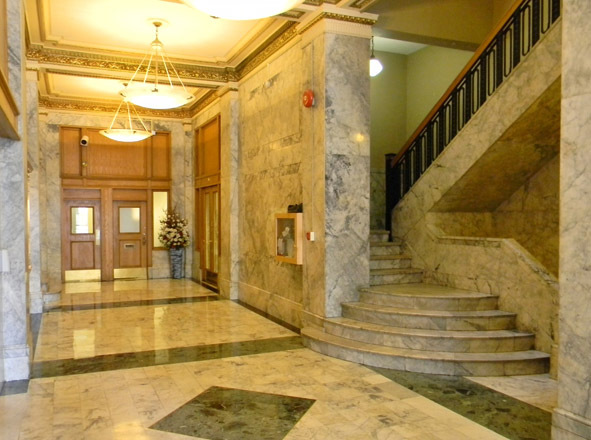 The Duncan Building remains an attractive early downtown Vancouver office building. 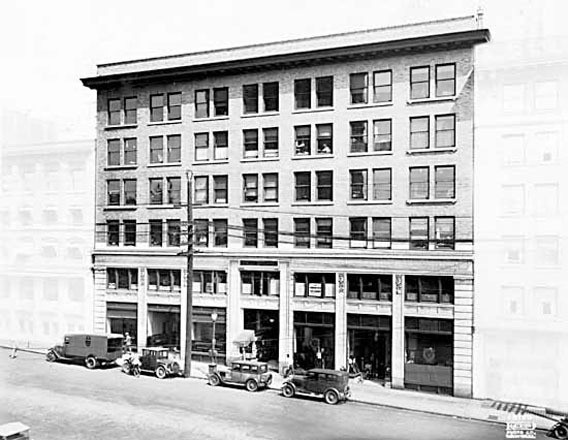 The building permit for the Duncan Building was issued on June 26, 1911 with a listed building value of $70,000.